Salespeople face the difficulty of turning prospects into paying customers every day. The old, traditional techniques don’t work anymore, your sales team needs a hand. That’s where content marketing comes into play. Your sales department doesn’t need to sell hard anymore. They can approach their leads in a more natural and efficient way using high quality, educational content. Cold calls annoy people and demotivate anyone who once thought they would make a good sales rep. You don’t want your sales team to burn out. What is the solution? The answer is content marketing. An inbound content marketing strategy is based on the communication between your team and your customers. Instead of interrupting, start listening to your prospects and focus on solving their problems, nurturing relationships and growing the CLV (Customer Lifetime Value). 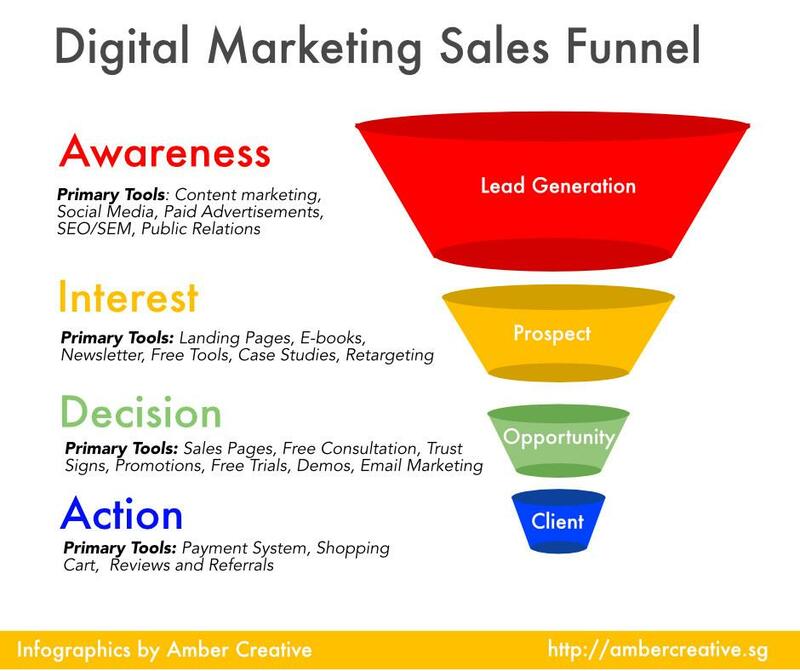 In order to understand how the marketing team can support the sales department, you need to understand how the marketing and sales funnel works. This funnel ensures that you minimize the number of the prospects you lose during the customer journey. You need to walk the prospects through the funnel and prepare to qualify these leads. Content marketing is the heart of your marketing strategy. The internet is a very noisy place. There are millions of websites out there. Having a website doesn’t mean instant success. 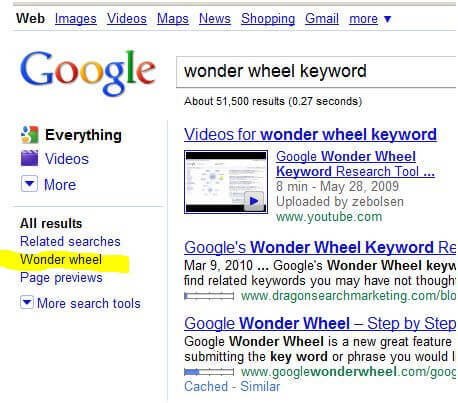 Your website has to rank on Google’s first SERP (Search Engine Result Page) to become visible. Google’s sophisticated algorithm aims to provide users the most relevant results to their queries. As they say, the best place to hide a dead body is Google’s second page. Data shows that the first organic result gets 32.5% of all clicks, the second gets 17.5% whereas the 7th gets only 3.5% of the clicks. The difference is huge! It’s a complex question. The signals that Google takes into consideration include Off-Site and On-Site SEO (Search Engine Optimization), and technical SEO as well. SEO is the number of techniques to improve the visibility of your website. SEO is a time-consuming strategy but it pays off in the long term. Once you write a great article that answers your customers’ question, this piece of content will drive traffic to your website. Generating content is necessary to be active on social media as well. If you create truly valuable content, it’ll get shared. People start talking about you. 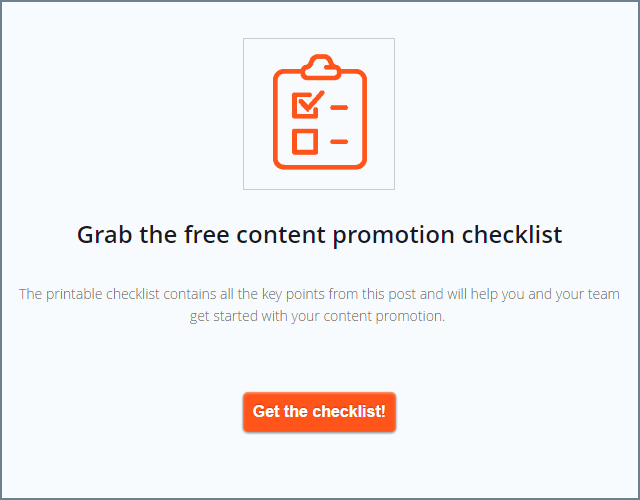 Your brand gets free promotion. Content marketing costs 62% less than traditional marketing and generates 3 times more leads as traditional marketing. According to statistics by SnapApp, content marketing costs 62% less than traditional marketing and generates 3 times more leads as traditional marketing. This study supports the idea of using content marketing to increase Return on Investment. Customers analyze their purchase decisions all the time. By providing helpful articles and position yourself as an expert will help this post-purchase evaluation. Decrease customers’ fears by showing that you care about them and you know the solution to their problems. Once you attract a number of visitors, you have the opportunity to generate leads. How? Use Hubspot’s inbound methodology to create a relevant content map. 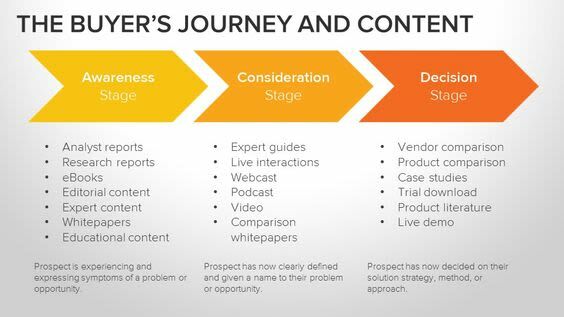 Prospects need different types of content depending on where they are on the buyer’s journey. Before the sales team contacts someone they put together a buyer persona or profile and try to understand their pain point. These leads are so-called warm leads. They want you to contact them and help. This stage is the top of the funnel. It includes general content. Prospects have a problem they are trying to solve and your content should be there to help them solve it. Go to Quora or Twitter to find out what people are talking about. You’ll notice that they ask questions that can be a great starting point for your content marketing. For example, the question can be: Why aren’t people visiting my website? Focus on the symptoms. You can write about a number of reasons such as lack of backlinks or good quality content. Running a keyword research analysis and finding out what people are actually searching for is the most important aspect of content creation. Look for content marketing software platforms to help you collaborate and write SEO optimized content. These tools help you keep the right keyword density balance and get the most out of your article. Use the Skyscraper technique if you aren’t sure how to write an article to beat your competitors. This is the middle of the funnel. The readers know they have a problem and they try to find the solution. Use keywords like software or tool. Create content that includes guides, whitepapers or webinars. This stage is the bottom of the funnel. Here is your chance to introduce your product. Create Case studies or product comparison. Prospects at this stage are ready to make a decision. They seek information about different products. This stage is the most important one in terms of conversion. Let’s say you have plenty of visitors to your website, but you want to turn these visitors into leads. Use lead magnets, such as e-books or case studies. Visitors are happy to give away their email addresses for free goodies. You might think email marketing is so old school but trust me it still works! The right email sequence can do magic. The conversion rate of your emails can reach 5%! Personalization is the future of sales. Period. Offering the right deal to the right person at the right time is the key to success. This sales technique is customer-centric and focuses on other’s problem instead of pushing the product and chasing the numbers. Before the sales team contacts someone, they can learn about the buyers and try to understand their pain point. The sales process is built to support customers during the buyer journey. It focuses on active buyers and customer tailored presentations. It’s important to recognize which buyer to prioritize. Reaching out to passive people aren’t going to make a cut. On the other hand, contacting active buyers can dramatically increase the number of successful deals. Provide the sales department relevant content they can use to turn these prospects into paying customers. We know that acquiring a new customer is more expensive than keeping the existing ones. Follow up your customers time to time and provide educating content as you go. You can send Happy Birthday emails or special offers. Do care about your customer. Love them. Use inbound marketing strategies like content marketing to help your sales and marketing teams work together in a customer-centric way. Creating content that attracts more visitors to your website means more opportunities when it comes to lead generation and conversion. 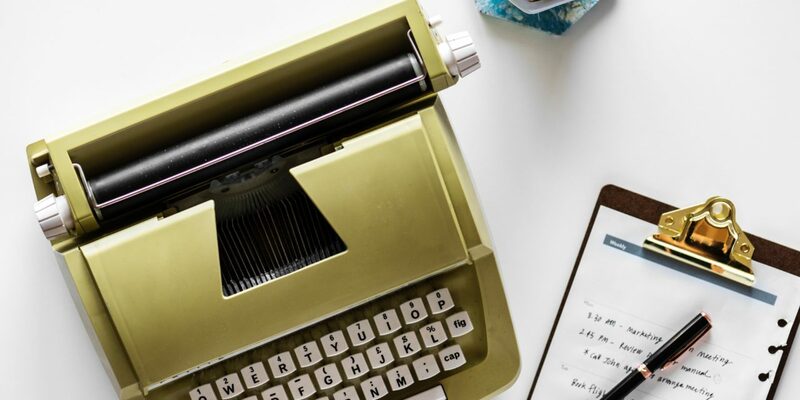 By developing a content marketing plan that supports the customers during the buyer’s journey you can ensure a smooth handover between the marketing and sales departments. Erika is a T-shaped digital marketer. 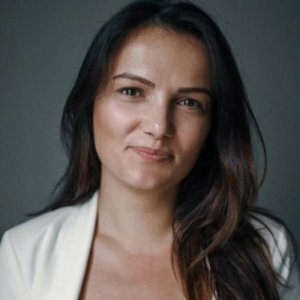 She is the content marketing manager at Intellyo. NextOut of Blog Post Ideas? 5 Ways to Update an Old Post!